Start with one of 61 layouts and then select your photos. Position your photos and customize the inner frame dimensions using the Frame Slider. 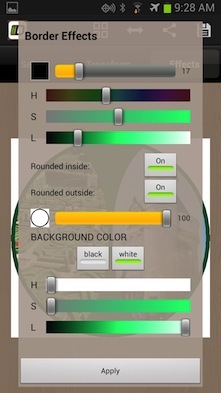 You can tweak images‘ brightness, contrast, hue and saturation, as well as adjust the border color, width and curvature. 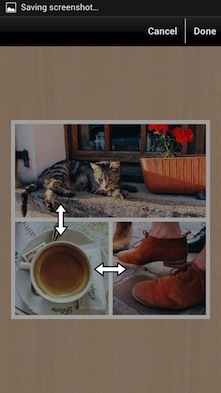 Once your Diptic is ready, you can save or share it via email, Instagram, Facebook, Tumblr, Twitter, Flickr or Google+. 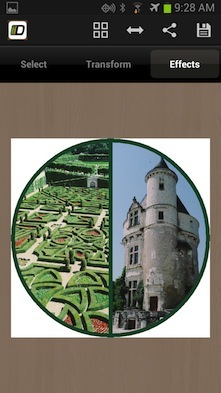 Diptic is also available as a Mac desktop application! 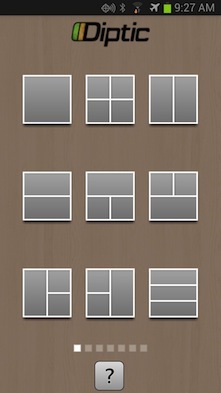 Pick one of 56 layouts, and then select up to six photos from your computer or the Internet (Facebook, Flickr, etc.) to quickly create interesting photo collages to post on your blog, document special events, or share with friends and family. 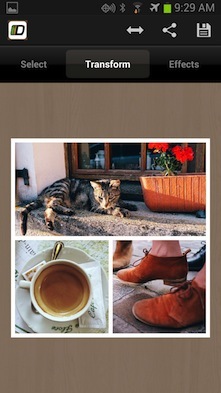 Diptic is a great quick-action app, and you’ll be creating collages within minutes of downloading it.